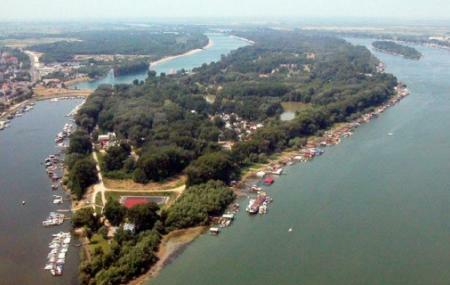 Belgrade doesn’t have a seaside, but it does have a river island. It’s enough. Originally a muddy island cut off from the city, Ada Ciganlija was connected to the right bank of the Sava River by a bridge – it officially became a peninsula. Today, it is Belgrade’s playground; they even call it the Sea of Belgrade (‘they’ being all the people who can’t afford to go down to the actual sea). In the summers, the island can easily see up to 300,000 visitors on the weekends for cold drinks, swimming and frolicking. In the winters, people frequent the island’s lovely promenade that is lined by cafes and nightclubs. The island has amenities for many activities: basketball, football, volleyball (beach and regular), rock climbing, tennis. All this is free; just get your own equipment. There’s special skating and cycling paths. On the paid front, there is a paintball arena, bungee jumps, the Adventure Park, a ski simulator. Fully disabled accessible – parking, toilets and ramps. Pets not allowed on the island. How popular is Ada Ciganlija? People normally club together St. Sava Temple and Gardos Tower while planning their visit to Ada Ciganlija. This island in the heart of Belgrade is amazingly beautiful. In summer time it is so crowded and this way I advice people to visit it in early autumn. To feel, to enjoy Danube river. To listen birds singing and inhale fresh air. Very nice lake. The water isn't the cleanest but even by winter it is a nice walking spot.